The Return of the Sub-Continent heat wave ! Some met. reports are now hinting at a small break in the Monsoon advance. "Monsoon is not expected to progress further for next five days. However, weather over Saurashtra is expected to improve under the mild influence of the Monsoon trough along Konkan and the Cyclonic Circulation over East Arabian Sea. Light Rainfall is expected over Saurashtra mostly South of Rajkot. Rajkot could get rain on Thursday/Friday. 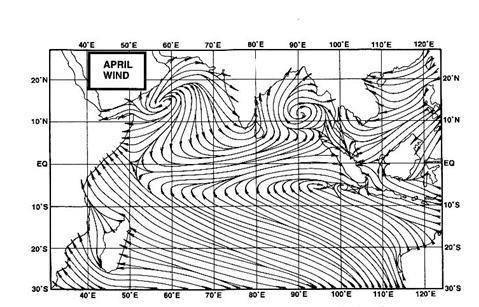 "There is a Cyclonic Circulation over Arabian Sea West of Maharashtra Coast. Monsoon trough along the Konkan Coast and the Cyclonic Circulation will combine to give Heavy Rainfall for Goa to Konkan and also some parts of South Gujarat. Rainfall estimates for Goa, Konkan and nearby South areas will be posted soon". The IMD in it's morning forecast today makes no mention of the UAC on the west coast. Has it become less marked? Could it mean much lesser rainfall for Mumbai and surrounding areas then what was earlier forecasted?